Which Patterson Girl are you?! 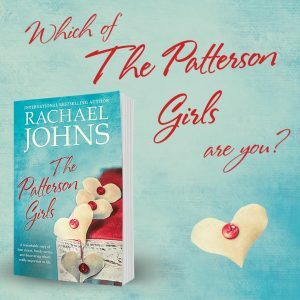 So, you may have heard THE PATTERSON GIRLS is now out in shops and online (Australian and NZ only at this stage folks)! 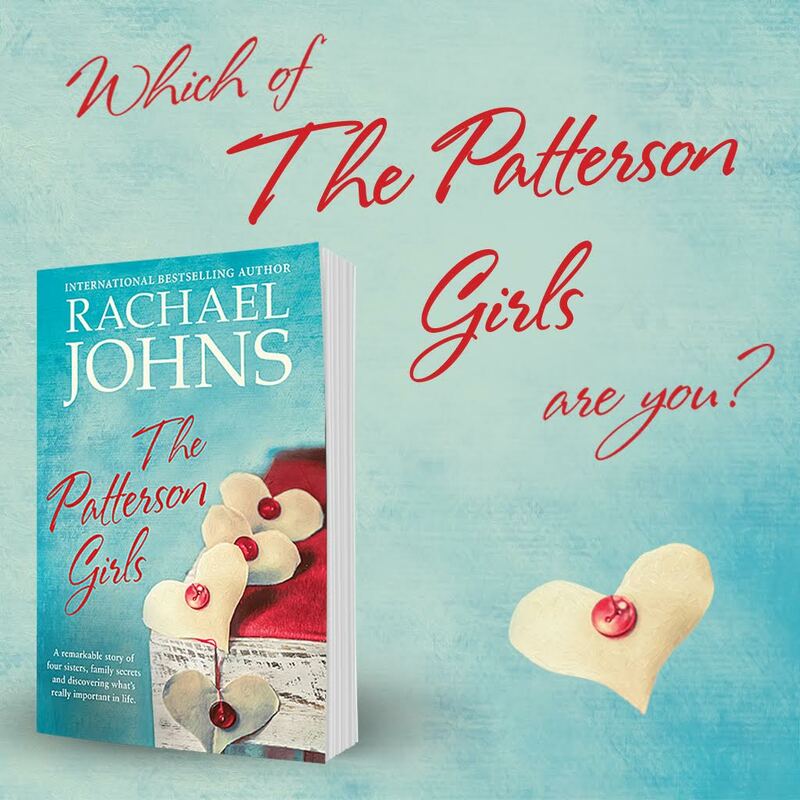 Anyway, to tie into the release, the fab Harlequin Books have done an awesomely fun quiz, in which you can find out which Patterson sister you’re most like!! For more about THE PATTERSON GIRLS and to-buy links, click here! And don’t forget Booktopia has signed copies! Why only women allowed to take part in the contest. Being male and thoroughly enjoying your books I feel neglected. Just kidding. Keep the stories coming.